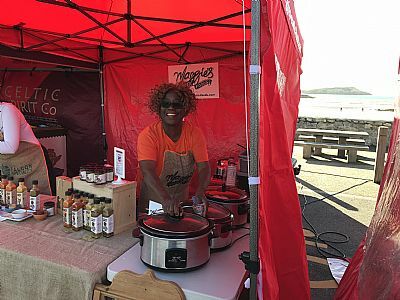 Maggie is a Nigerian, living in North Wales and she has worked with schools over the years sharing her Nigerian culture and her love of cooking. Maggie also promotes support for new and developing businesses and hosts the Learning Links International Office at the Red Lion Small Business Centre in Penygroes. Maggie is working with Learning Links International on the development of the "World Wide Wales" project, as well as taking a particular interest in the stories of the African children who were brought to work in families in Wales in the 1700's.